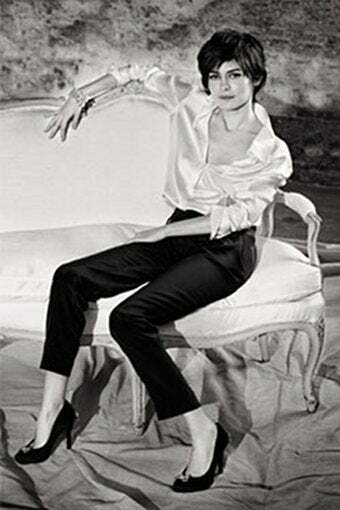 French Women Don't Get Slacks. The rule banning women from dressing like men – namely by wearing trousers - was first introduced in 1800 by Paris' police chief and has survived repeated attempts to repeal it. The 1800 rule stipulated than any Parisienne wishing to dress like a man "must present herself to Paris' main police station to obtain authorisation". In 1892 it was slightly relaxed thanks to an amendment which said trousers were permitted "as long as the woman is holding the reins of a horse". Then in 1909, the decree was further watered down when an extra clause was added to allow women in trousers on condition they were "on a bicycle or holding it by the handlebars". Further attempts to change the law failed in 1969 and again in 2003, when the "minister in charge of gender equality" responded obscurely and, presumably, with a Gallic shrug: "Disuse is sometimes more efficient than (state) intervention in adapting the law to changing mores." Well, perhaps, but given that the state feels comfortable banning the hijab, surely posthumously clearing Coco Chanel of multiple misdemeanors wouldn't ruffle too many feathers - despite the pleasing irony of Paris having one of the world's most draconian dress codes. It would also be an easy - and timely - gesture when that could be salutary: In the Indonesian district of West Aceh, the wearing of "tight trousers and jeans" by Muslim women was recently outlawed and women have been arrested and flogged for flouting the dictate. As such, the French law is not purely the amusing anachronism it should be. But, really, commenters on the Telegraph's website get the last word, so pithy and relevant are their remarks: In the words of one "Euro-peon Serf," "Cowardly French faggots need something to differentiate themselves from actual women, since they can't do it by conduct, speech, or appearance." Indeed, sir. That's probably what the minister was trying to say.